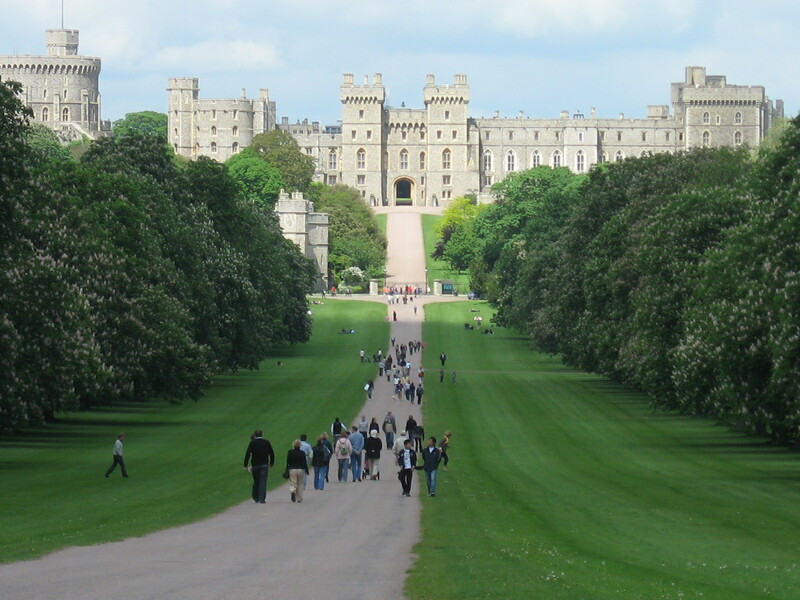 The Long Walk to Windsor Castle. 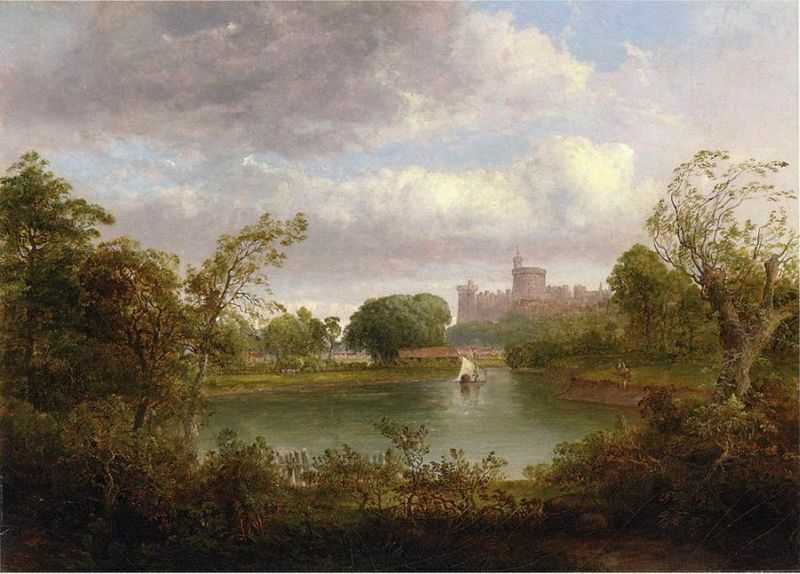 Windsor Castle is every artist’s delight. No wonder this storied royal abode, considered the oldest and the largest inhabited castle in the world, has been featured in so many paintings of the great masters of centuries ago up to present-day budding artists. Windsor Castle is simply an inspiration, a sight of behold. 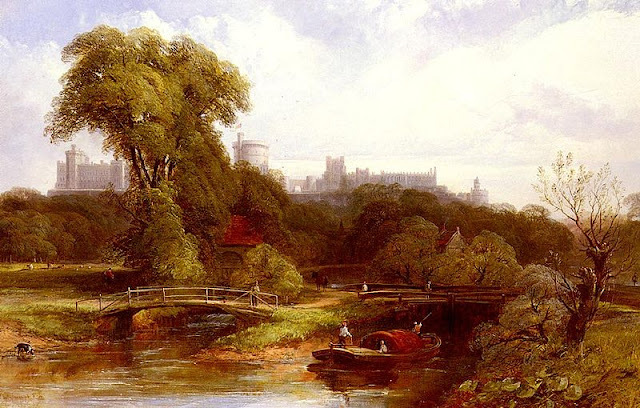 Check out these lovely paintings about Windsor Castle and you might be enticed to pay a visit to this millennium year-old structure. 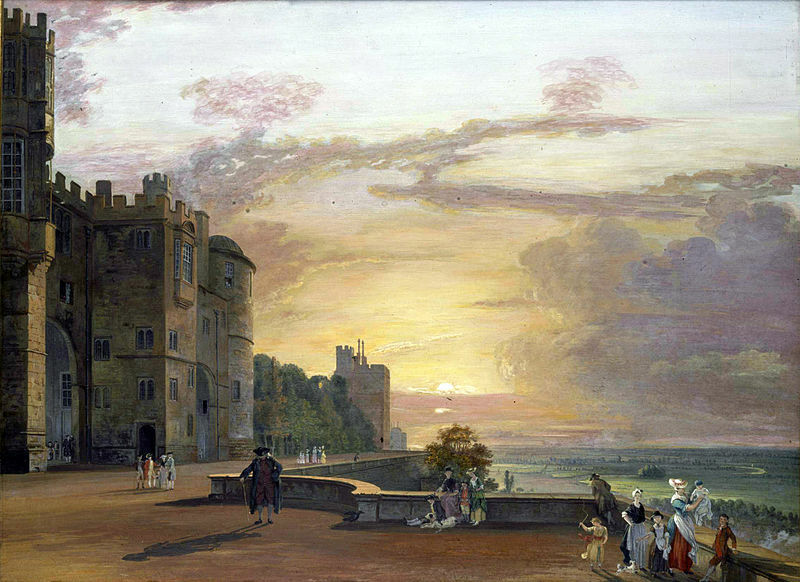 Windsor Castle: View of the Round and Devil’s Towers from the Black Rock by Paul Sandby. This painting was acquired by the National Art Gallery of Victoria, Melbourne. Windsor Castle from the South, c1685. Artist unknown. 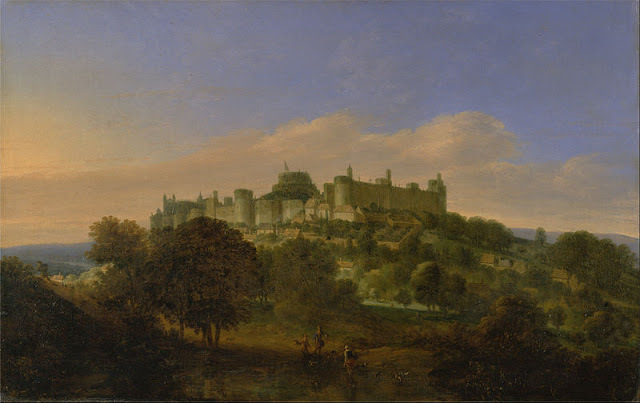 This painting is now displayed at the Yale Center for British Art. Windsor Castle in England by Gilbert Munger. Schloss Windsor,circa 1760. This painting is exhibited at Victoria and Albert Museum. 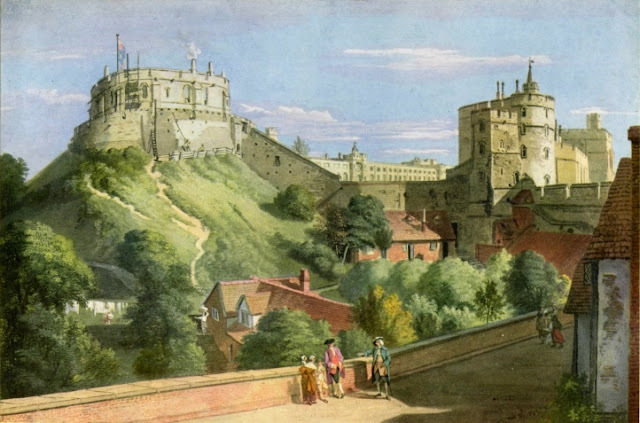 Windsor Castle, c1747, by Canaletto. Part of the Duke of Northumberland’s collection. 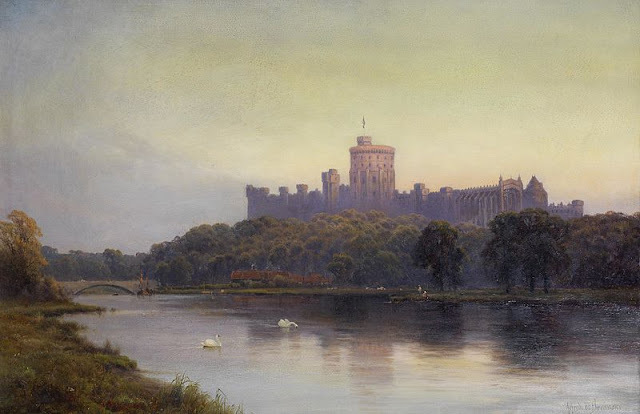 Windsor Castle at sunset by Alfred Breanski. Oil on canvas. 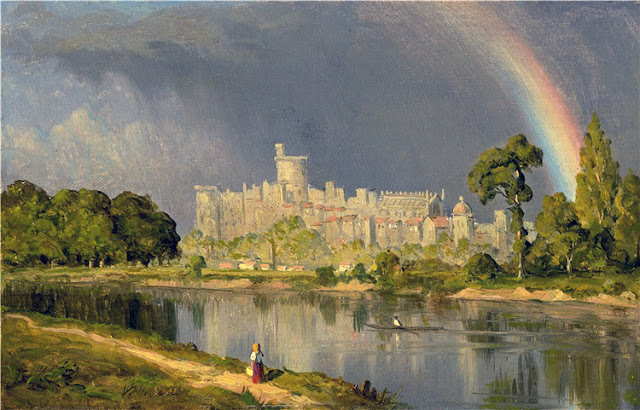 Study of Windsor by Sanford Robinson Gifford, 1855. 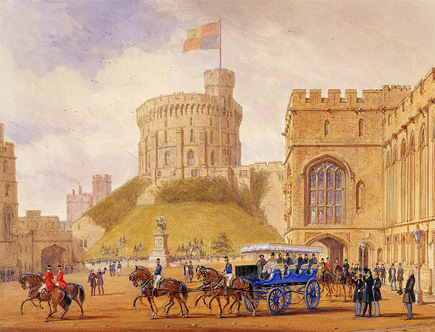 Windsor Castle by Thomas Doughty, c. 19th century. 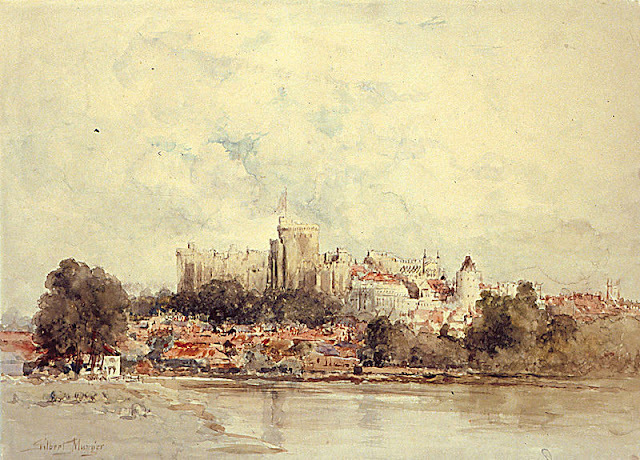 A watercolour of Windsor Castle from across the River Thames by Gilbert Munger. A View of Windsor Castle by Thomas Creswick, c19th century. 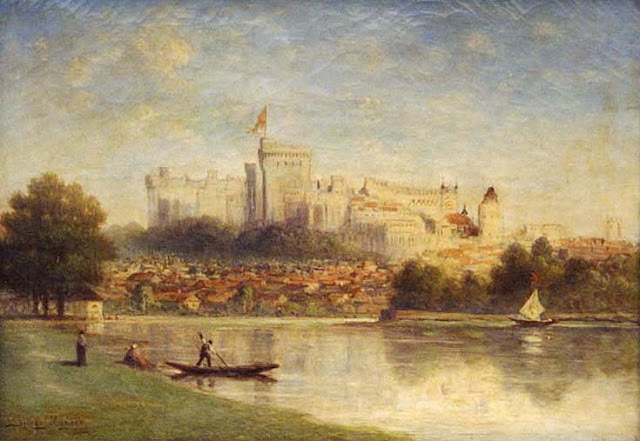 A royal day trip at Windsor Castle in England in 1844. King Louis-Philippe and Queen Marie-Amélie of France are the visitors, and they were presented Queen Victoria with the blue charabanc. Illustration by Joseph Nash. 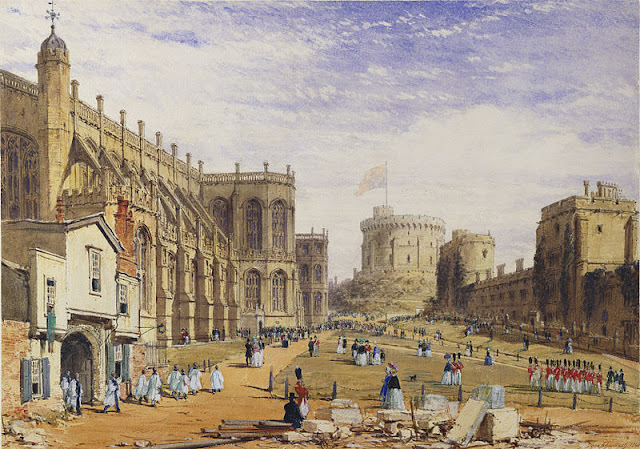 The lower ward (bailey) of Windsor Castle, England by Joseph Nash, c1846.